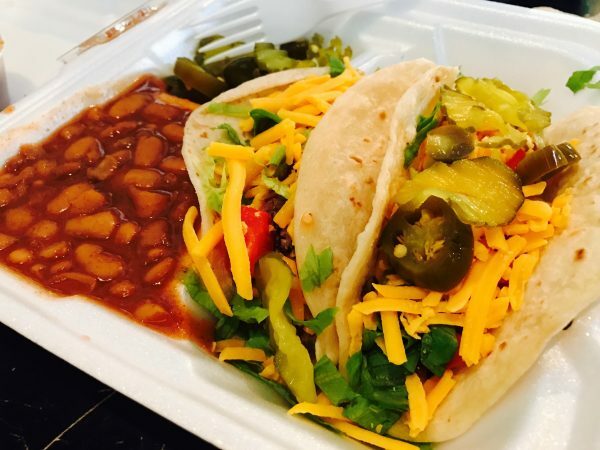 When David Ridley of Waco Tours recommended the Gut Pak at Vitek’s BBQ, I knew that was where I wanted to go for lunch. 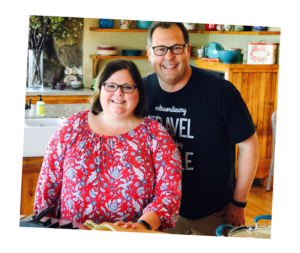 Sure, he had a couple other suggestions, but the name piqued my curiosity and after spending two days at The Pioneer Woman Mercantile and Magnolia Market, I was ready go someplace with more testosterone than estrogen. 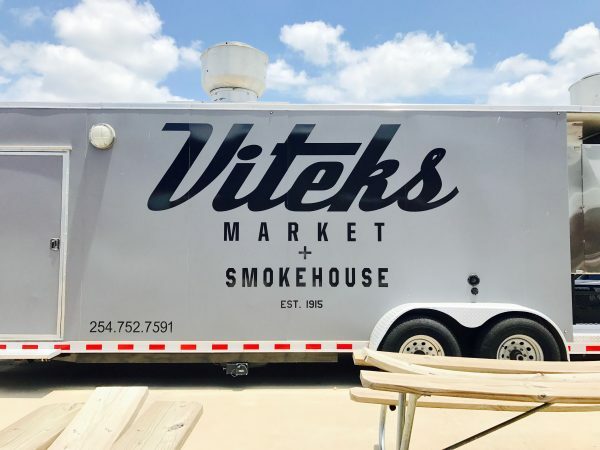 Vitek’s Market and Smokehouse is a local favorite in Waco, Texas. Ann and Meghan agreed that since we were in Texas it would be a crime to not try barbecue so we headed over there for lunch. Vitek’s is what you’d expect a Texas BBQ joint to be: large with a strong smell of wood smoke. And, lots of bread. 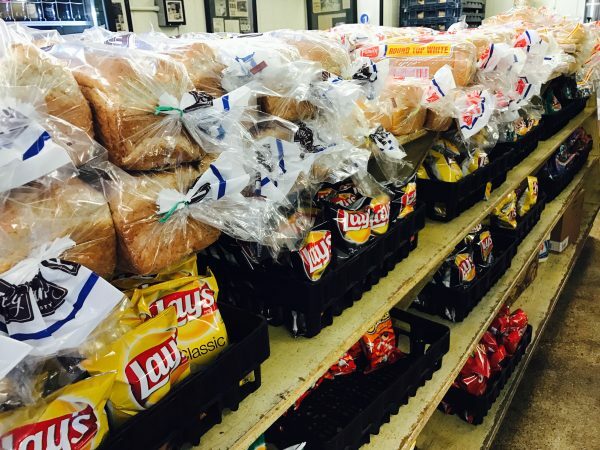 Loaves and loaves of white and wheat bread lined the shelves at Vitek’s in Waco, Texas. It has a complete menu listed at the counter, but my sights (and stomach) were set on the Gut Pak. 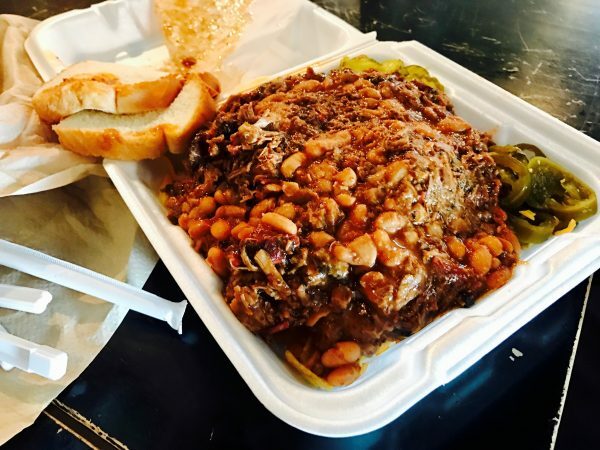 There were lots of appetizing options on the menu at Vitek’s, but I was intrigued by the Gut Pak. I feel called to try anything with a name like Gut Pak. It’s a pretty simple dish made with a few of my favorite things: Fritos corn chips, cheese, chopped beef, beans, sausage, pickles, onions, jalapeno peppers, and BBQ sauce all served with a handful of sliced white bread. Of course I got the full order, not the half. 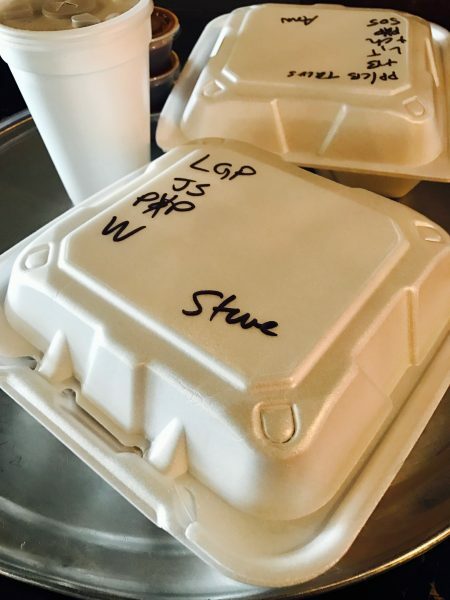 Everything was served in styrofoam boxes and labeled with your individual selections. 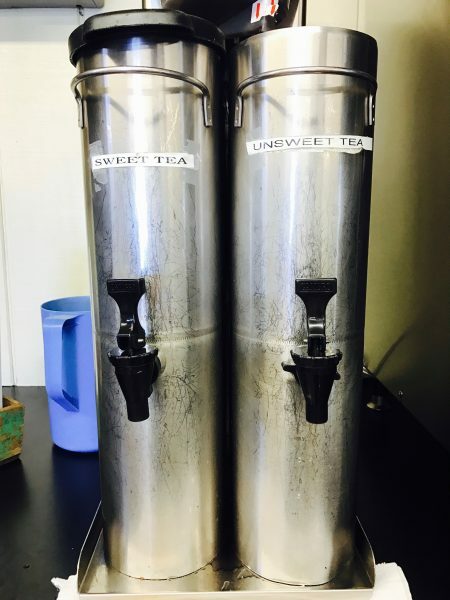 The way they serve tea in the south — sweet or unsweet. 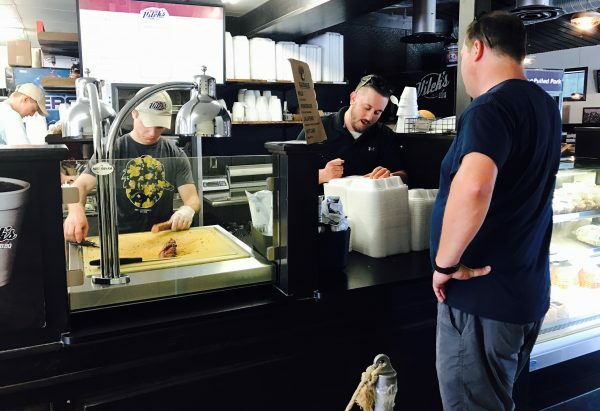 When our order was ready, I hefted my full Gut Pak order from the counter and lugged it over to a table. I opened the lid and peered inside at an impossibly huge pile of deliciousness — a chewy, crunchy BBQ flavored explosion. The full Gut Pak served with a handful of white bread. Ann ordered the pulled pork tacos (probably a more reasonable choice for lunch) and watched me try to conquer the Gut Pak long after she’d finished. Ann ordered the pulled pork tacos which came which were garnished with both cilantro and pickles. I’d like to be able to report that I finished it off, but the truth is that it turned me into a quitter. In fact, I’m not sure I could have finished the half order. It was, however, a delicious experience, and I’ll remember it the next time we’re passing through Waco. Hopefully by then I’ll be hungry again. Have you ever ordered something so large you knew it would be impossible to finish? Tell us about it in the comments section below. It’s the effort that counts! Thanks for sharing. David Ridley, the extremely attractive but much too young single guy who was featured on an episode of Fixer Upper. The episode I keep on my DVR so I can make sure he is still as cute.